HorseracingFLA is an on-line publication that provides daily news and analysis on thoroughbred racing in Florida – on and off the track. For breaking news and for commentary we also maintain a blog insidefloridahorseracing.blogspot.com Our mission is to fill what has become the void of locally produced regular coverage of Florida horse racing. We are based in Fort Lauderdale and have a bureau in the Tampa Bay area, along with scores of racing industry sources in Florida and around the country. 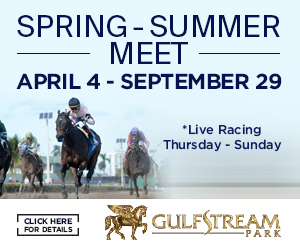 Members of our team are regularly on site at Gulfstream Park, Tampa Bay Downs and Calder (Gulfstream Park West) to cover the races and write about the horses and the people in racing. The business and economics of the industry and the tracks: handle, purse contracts, racing dates, simulcasting. The breeding industry in Ocala. Tallahassee: news and developments related to thoroughbred racing in the Florida Legislature, the Florida Division of Pari-Mutuel Wagering, and the courts. Competition from other pari-mutuels and from the Seminole Tribe’s casinos in Florida. 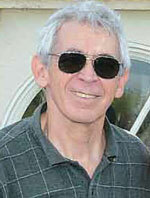 Jim Freer, our editor, has been covering Florida horse racing for 15 years. He is nationally known for his reporting, and most notably for his in-depth knowledge of the business aspects of the sport. Jim is a correspondent for The Blood-Horse and its Web site, and he writes about horse racing for other publications. He was the horse racing correspondent for the Miami Herald from 2008 through 2013. Prior to that he spent ten years as a reporter for South Florida Business Journal, covering banking/finance and sports business. 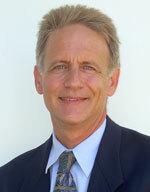 Barry Unterbrink, our business manager, has acted as a practicing financial professional for his entire working career. He operates from a second-generation family background of financial management and counseling for individuals and businesses based in South Florida since the 1970’s. He has held positions in the financial services industry as: retail stockbroker, Registered Investment Advisor, and currently Chartered Retirement Planning Counselor (C.R.P.C. ), building upon his financial market knowledge and skill set to handle important client issues such as income planning, retirement strategies and taxation. Barry’s highly organized skills and hand-on approach to operations will contribute to our success in multiple areas of HorseRacingFLA. Steven Buckner has been making photographs since 1973. Encouraged by his father, Steven used the family camera until he could buy a professional camera and lens set with proceeds made from selling his photographs. He’s a native Floridian based in Clearwater, Florida. Self- taught, Steven worked for several new organizations shooting spot news and free-lance assignments while in school. While at Stetson University in DeLand, FL, he worked for the DeLand Sun News, WFTV channel 9, and UPI wire service, covering car racing at the Daytona Speedway. He also worked with the Tampa Tribune, Polk County Edition, while home in Lakeland during the summer months. Never far from a camera, Steven returned to photography after several years in other full-time endeavors. He has moved into the digital image age with a professional camera and lens set specializing in virtual tour photographs for the Real Estate Industry. He also loves to shoot nature, specializing in Birds of Florida . His newest venture with is covering the thoroughbred horse racing from Tampa Bay Downs as a photographer and reporter for HorseRacingFLA and several horse racing blogs.